Surprise! Avril Lavigne Returns As The Voice Of Grey's "Wings Clipped"
Well, here's some good news. Avril Lavigne has new music on the way. And she’s back! Avril Lavigne returns to the music scene tomorrow (September 22) with an appearance on Grey’s debut EP, Chameleon. She lends her instantly-recognizable vocals to a banger called “Wings Clipped.” Don’t worry. This is your typical, by-the-numbers club feature. The EDM duo, who landed a massive hit in 2016 with “Starving,” tailored the track to Avril’s sound — resulting in a rowdy rock/dance hybrid that sounds like a really good Evanescence remix or a long, lost Garbage single. 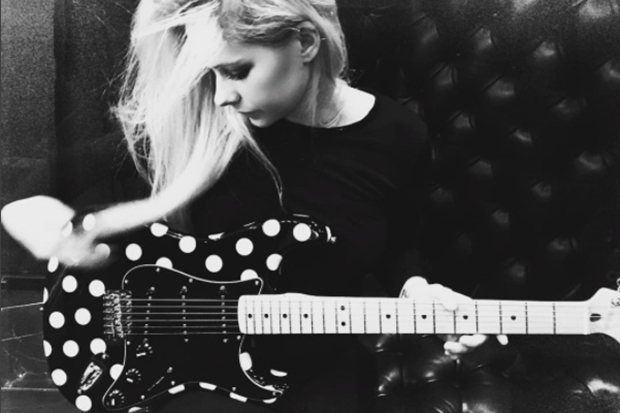 “Another Sunday waking on the ground, signal breaking down,” Avril begins the song over acoustic guitar. It bubbles along moodily until the chorus. “They say it’s weakness but you’re just an angel with your wings clipped, someone came and took all your secrets,” she growls. “Now you can’t fly away.” That’s followed by a crunchy guitar drop and a verse by rocker Anthony Green. It’s weird, oddly familiar and sounds better with each listen. You can stream “Wings Clipped” below from midnight (ET) tonight.